Affinity Farm is located in beautiful Skaneateles, NY. 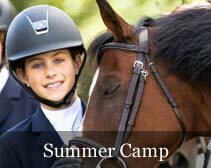 We are a friendly equestrian facility offering professional instruction in hunters, jumpers and equitation. We tailor a program specifically for each rider dependent on the rider's skill level and goals. 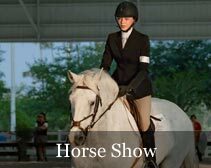 ​The Affinity philosophy stresses safety, respect for the horse, and a positive attitude. Our instruction techniques develop body awareness and balance for better communication and effectiveness. We emphasize the development of strong horsemanship skills to create excellent horsemen and women. “I came to Affinity when I was 8 years old and 11 years later I am still here and have loved every single minute. Kim has been an amazing coach and taught me to believe in myself. I will always remember my accomplishments making it to IEA Nationals multiple times, but more importantly I will always remember the memories, friends, and fun!” ~ G.H.